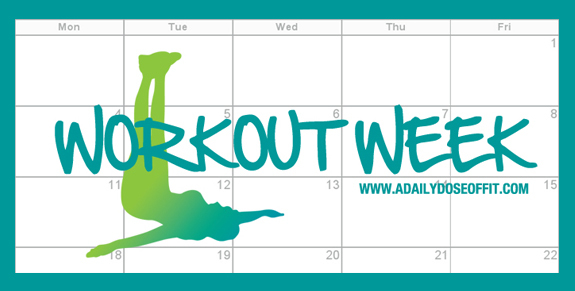 How's it going with the workouts this week, friends? I'm feeling super sore from all the activity, especially in the legs. We did goblet squats in my Kettlebell class on Tuesday—oh, man. Expect them in tomorrow's lower body workout. 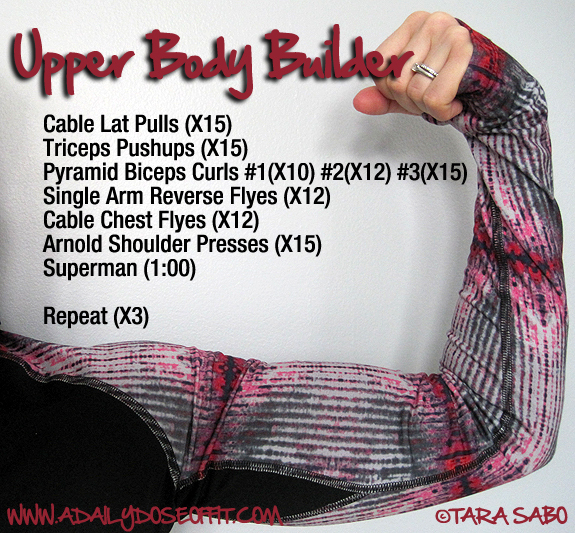 But today, I've got an upper body workout for you. Yep, it's still workout week. Make sure you warm up before you hit the weights with this one. Always warm up. ALWAYS! And then cool down when you're done. Some light cardio, perhaps? Followed by some stretching. Do the workout three times through. 1) When you do a triceps pushup, your arms are locked into your sides...so your elbows graze your sides as you push up and down. 1) Pyramid curls are just biceps curls, but you should start with the heaviest weight you can lift and lighten up each set thereafter.